Condensed milk is milk with the water removed; sweetened condensed milk means sugar has been added to the milk (once the water has been removed). Condensed milk has all the same health benefits as milk but can keep for years in a pantry if unopened. Making your own sweetened condensed milk is fast and easy! If you've ever encountered a recipe that calls for condensed milk, only to be foiled by an empty pantry shelf, you need this recipe. Whip up a batch of sweetened condensed milk in 5 minutes, and use it for baking or candy making. All you need are four ingredients and a blender. You can use sweetened condensed milk as a milk replacement in your daily coffee, although remember it will be pre-sweetened. It's also a key ingredient in richly refreshing Thai iced tea and Thai iced coffee drinks. Place the dry milk, granulated sugar, 1/3 cup of the boiling water, and the melted butter in a blender. Blend all ingredients together until they are smooth, scraping down the sides of the blender occasionally to get all the dry ingredients incorporated. 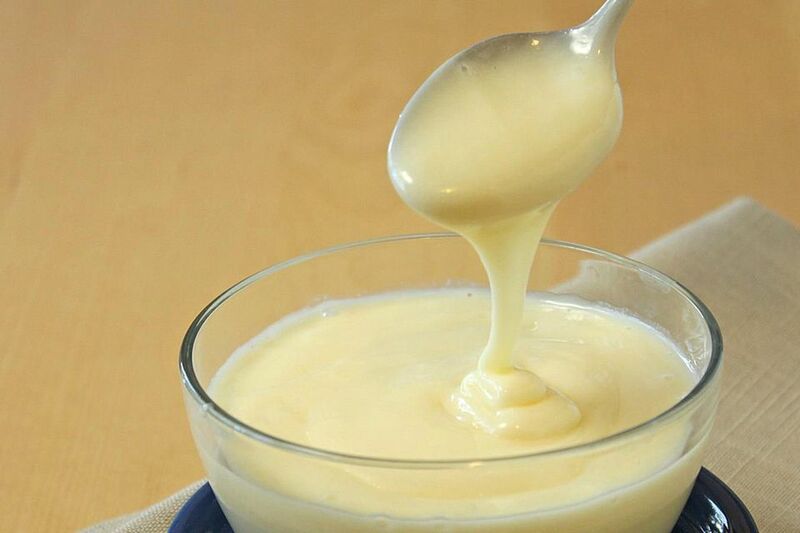 Condensed milk typically has a thick, syrupy consistency, but if your homemade condensed milk is too thick to pour easily, add another spoonful or two of boiling water and blend to incorporate. Adjust the water until you are happy with the consistency. Use your homemade sweetened condensed milk right away, or store it in an airtight container in the refrigerator for up to 5 days. It will get thicker when it is refrigerated, but will loosen up when stirred and brought to room temperature. If you are dairy-free, you can prepare a dairy-free condensed milk by substituting coconut milk for the dry milk product. Enjoy experimenting with all the sweet treats you can create with this easy-to-make pantry staple. Kitty Cat Bars - Just 2 Ingredients To Make Your Own Kit Kat Bars!